Creating shortcuts in Cognos is a convenient way to access the information you use frequently. Shortcuts point to Cognos objects such as reports, report views, jobs, folders, and so on. However, when you move objects to new folders/locations within Cognos, the shortcuts that reference them turn into broken links. You would then have to go into Cognos and recreate all of the shortcuts to those objects that were moved. 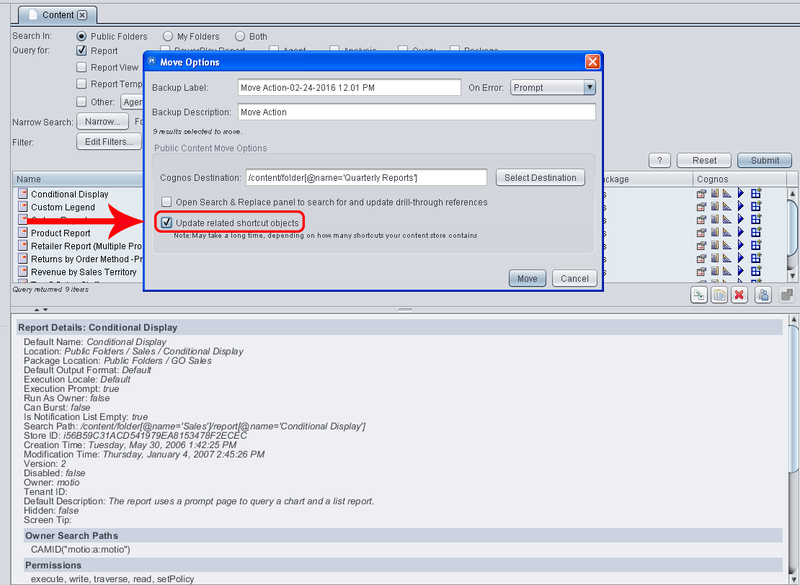 Or, you could conveniently move the Cognos objects within MotioPI Pro in order to prevent broken shortcuts and avoid the pain of having to recreate them.